The Exynos 9 Series processors were introduced by Samsung almost a year ago, and we've seen them used in the company's flagship phones of 2017. 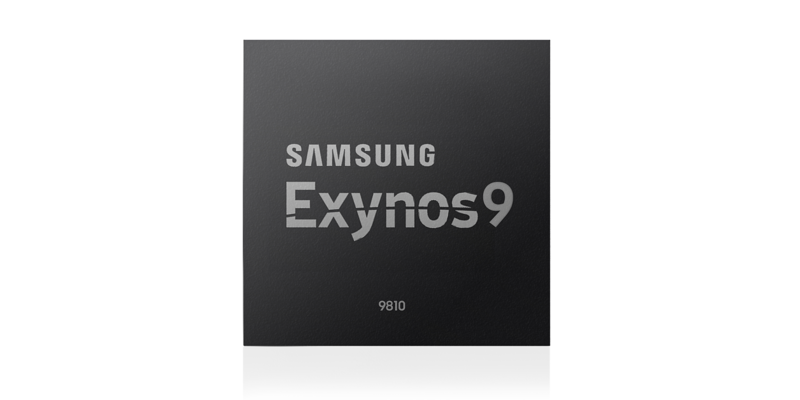 With the announcement of the Galaxy S9 nearing, it's time we learned a little about the chip that will be running the show (outside of the US and China, which will get Qualcomm's latest Snapdragon 845 processor), so Samsung has lifted the covers off the Exynos 9810 SoC. It's built on Samsung's second-generation 10-nanometer process, which boasts improvements such as a faster LTE modem and support for deep learning-based image processing software. As with any new chip, faster performance is promised, and it will apparently handle multitasking better than its predecessor – which is no surprise again. Unfortunately, the Exynos 9810 is practically all bezel. Its brand new eight-core CPU has four third-generation custom cores which are capable of clock speeds up to 2.9GHz, plus 4 efficiency-optimized cores. In real terms, this equates to single-core performance twice as good as before and multi-core performance is around 40% better. iPhone X-style face unlocking is on the cards for the Galaxy S9 as Samsung talks up the chip's neural network-based deep learning capabilities and depth sensing. There's also a separate security processing unit for storing personal information. The onboard 1.2Gbps LTE modem is an industry first, and Samsung was also the first to launch a processor with a 1.0Gbps LTE modem before it. It's also "the first Cat.18 LTE modem to support up to 6x carrier aggregation (CA) for 1.2Gbps downlink and 200 megabits per second (Mbps) uplink" – data will be very fast, let's put it that way. Camera quality on the Galaxy S9 will benefit from the dedicated image processing of the chip, with enhanced stabilization in photos and videos, as well as better low-light shots with less noise or motion blur. The SoC's upgraded multi-format codec will offer video recording and playback in UHD at 120fps with up to 1.07 billion colors, 64 times what was possible previously. 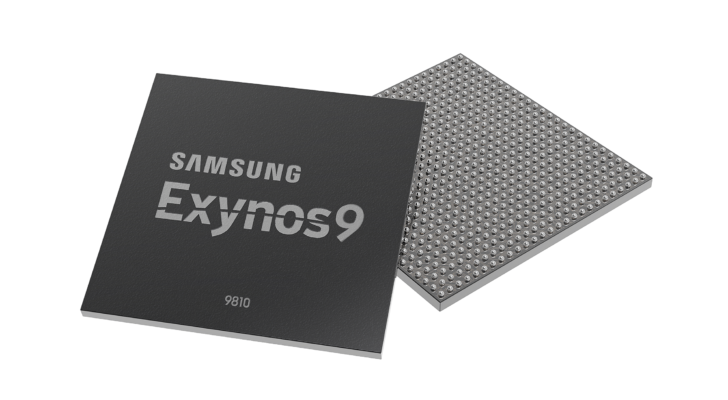 Mass production of the Exynos 9810 has already started, which lines it up perfectly for Samsung's next flagship phones. The Galaxy S9 and S9+ could debut as early as CES in Las Vegas next week, and we already have a pretty good idea of what they'll look like. We now know a little bit more about their internals, too, and we're sure to learn even more about the newest Exynos processor at CES, so stay tuned for that.